Vaido (Võrumaa, Estonia) on 12 October 2011 in Documentary & Street. Like the mixture of old and new. @Ralf Kesper: Ralf, you definitely inspire me take more photos of bikes in future :) Now I found a horn! 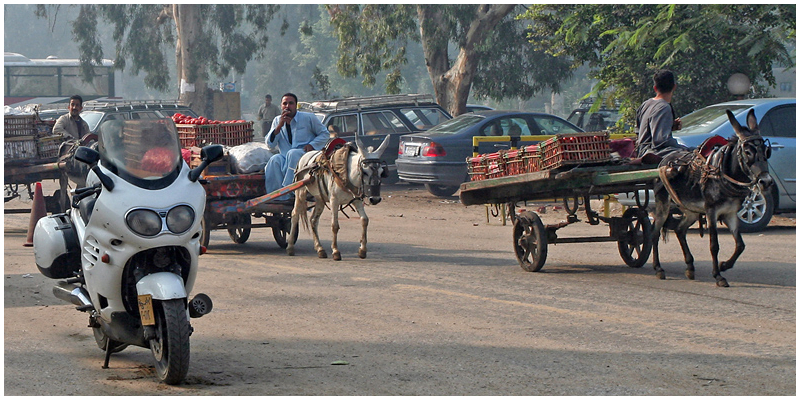 I love seeing the donkey carts. An excellent street shot.